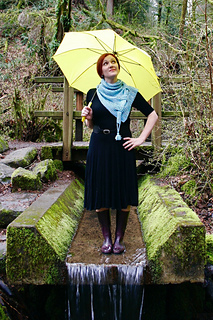 Merrywether is a spunky little fairy full of whimsy and wit. In order to zip around the world doing good she first needs a shawl that stays put. 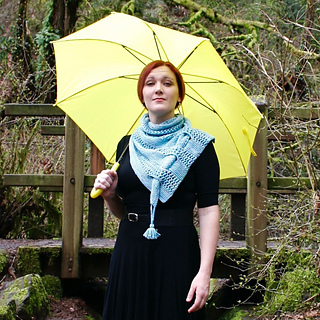 Merryweather is an advanced beginner level pattern with garter stitch, short rows, eyelet lace, and giant button holes that function to fasten the end of your shawl after wrapping it around your neck twice. Add a tassel for a little added flair (there’s a picture tutorial in the pattern for how to create one).